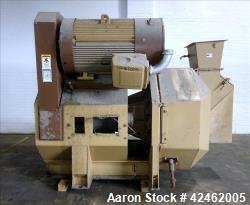 Used- Munch Pellet Press, Model RMP-520. Used- Munch Pellet Press, Model RMP-520. 6mm, two roller. Does not include door, electric motor or conditioner. Last used in an animal feed application. Mfg. 2009. 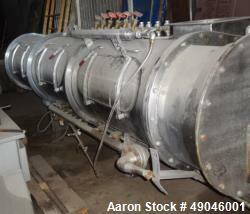 Used- Wenger Horizontal Twin Shaft DDC Differential Diameter Cylinder Pre conditioner, Model 66460-103, Stainless Steel. 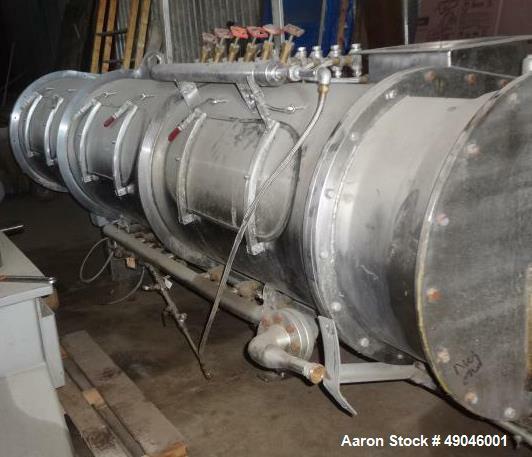 Approximate 42" wide x 120" long oblong cylinder with top & bottom steam injection. Approximate 11" x 11" inlet, 10" x 10" outlet. Driven by a 20hp, 3/60/230/460 volt motor. Serial# 9001-9303. Includes: Circular Bin for Wenger. Used- Bliss Industries Pioneer Series Pellet Mill, Model B-2000B-250, Carbon Steel. (3) Approximate 15-7/8" diameter x 9-7/8" face rollers, approximate 34-13/16" diameter x 10" deep die with 3/8" holes, die area 1,080 square inches, roll area 492 square inches. Mill driven by (2) 200 hp, 3/60/460 volt, 1189 rpm motors. 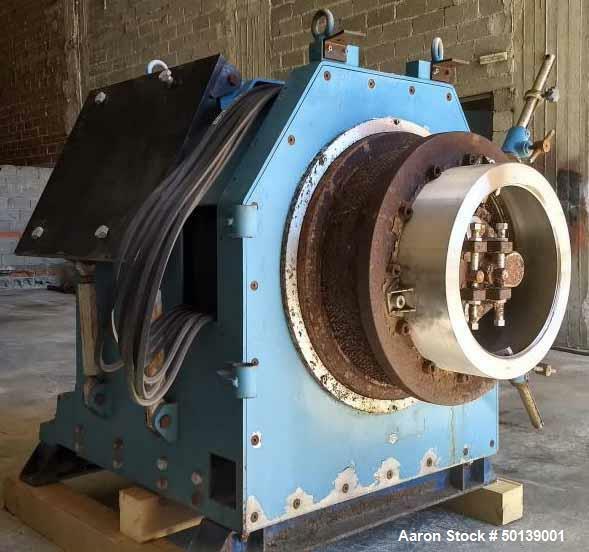 Top mounted screw conveyor feeder, 14" diameter x 132" long, driven by a 10 hp motor into a conditioning feeder, driven by a 50 hp, 3/60/230/460 volt, 1185 rpm motor with reducer. Hinged front door with discharge. Year built 1998. Reconditioned in 2009. 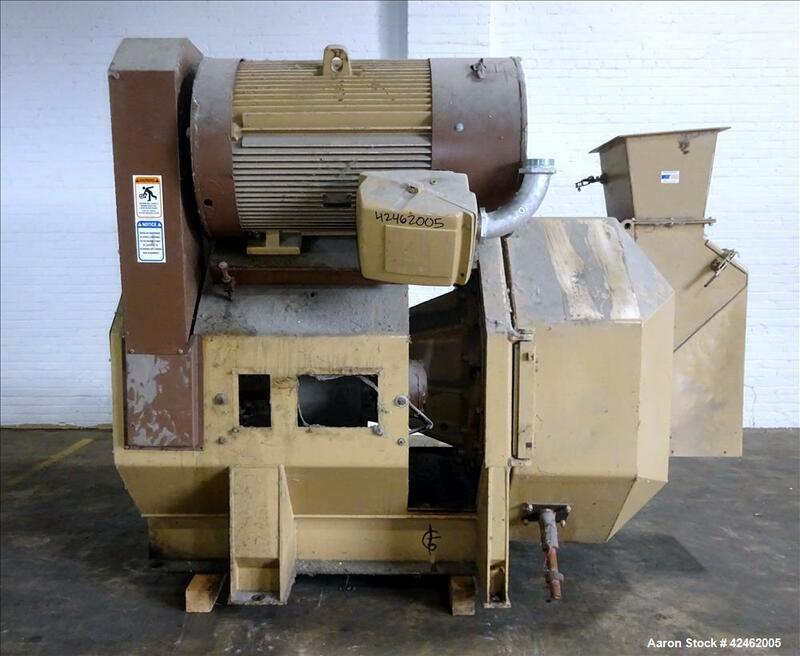 HP: 400 Mfr: Bliss Model: B-200B-250 Dia (in): 15-7/8"
Used- Bliss Industries Pioneer Series Pellet Mill, Model BR-2000D-250, Carbon Steel. (3) Approximate 15-7/8"diameter x 9-7/8 face rollers, approximate 34-13/16" diameter x 10" deep die, die area 1,080 square inches, roll area 492 square inches. 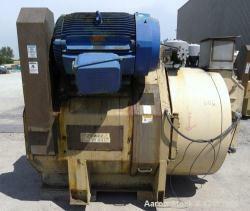 Mill driven by (2) 200 hp, 3/60/460 volt, 1185 rpm motors. Top mounted conditioning feeder, driven by an approximate 50 hp motor. Hinged front door with discharge. HP: 400 Mfr: Bliss Model: BR-2000D-250 Dia (in): 15-7/8"